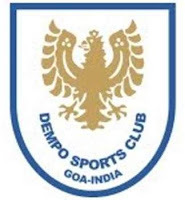 Following the footsteps of fellow Goan clubs Salgaocar FC and Sporting Goa, Dempo Sports Club (Dempo SC) confirmed their withdrawal from the Hero I-League 2016-17 on Wednesday. It is learnt that the club management and the promoters of the Dempo Group of Companies jointly decided to take this step as they felt that they were not in a position to make significant amount of investment required to field their team in the Hero I-League 2016-17 edition. Dempo SC along Salgaocar FC and Sporting Goa were also against the road map laid out by the All India Football Federation(AIFF) for restructuring of the I-League. The club will continue to take part in other recognized tournaments.